Exactly what I expected matches the color scheme in my living room perfectly !! Durable and easy to clean . Thank you so much overstock!!! The versatile and durable Premium area rug collection by Home Dynamix offers style and beauty at an affordable price. Instantly elevate your décor to the next level with these designer inspired accent rugs. The striking patterns offer something for every decor. The Premium Rug Collection offers an array of colors and designs to please any home decorating enthusiast. Place this decorative floor covering in your living room, dining room, bedroom, office or any other space that needs a fashionable refresh without breaking the bank. The durable construction and fade resistant yarns make Premium rugs perfect for high traffic areas in your home. 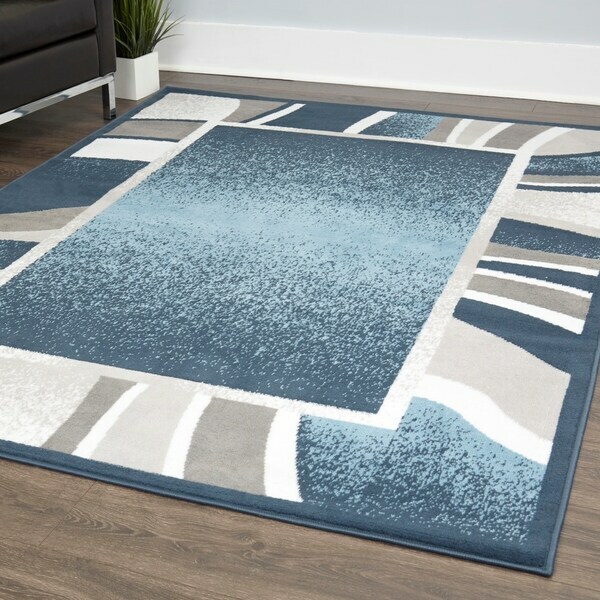 Protect your floors or simply add these area rugs over your existing carpeting for visual interest and decorative flair. Made of strong polypropylene yarns, the cost-effective material is easy to clean and care for, offering not only beauty but also the best value for money. Enhanced with durable jute canvas backing for long lasting shape and beauty. Use with non-skid padding underneath is recommended (sold separately). Dimensions 86.0 In. X 21.0 In. X 0.3 In. Option: Black/Gray - 8' x 10' - 7'8"x10'7"